Originally known as No Man’s Canyon, this gorge is situated over Franklin and Fuller Avenues, extending to the north up to Mulholland Drive. Local tribes, the Gabrielinos and the Tongvas, are thought to have utilized this canyon and the surrounding land as a campsite seasonally. The area was known to these nomadic tribes as Nopalera, and this is where they hunted each year. In 1867, however, the entirety of this parcel (160 acres) was deeded by a Federal patent to “Greek George” Caralambo Allen as a token of thanks for his having served in the Camel Corps of the United States Army. Allen became truly famous when, unbeknownst to him, the legendary outlaw, Tiburcio Vasquez, was found hiding on his property in 1874. The year after Vasquez was hung for his crimes, and the following year Allen sold the canyon property to Alfredo Solano, a founding member of the LA Athletics Club and also one of the most respected civic leaders in the region. Solano never lived at the canyon, but instead held onto it as an investment. He eventually passed away, leaving the canyon to his wife, Ella, who eventually sold the majority of it in 1919 to Mr. Carman Runyon. Runyon, from whom the canyon received its name, had been a successful businessman back East. Having recently married, he retired from his coal business and moved he and his new bride to the sunnier climate of California. This marriage quickly failed, and Carman left for Hollywood. He met Ellen Hunt and remarried. Ellen was accomplished in horseback riding, and together, they purchased the canyon property. To have a place of respite from riding and hunting, they quickly built a small cottage near the entrance of Fuller Avenue. Runyon game his name to the canyon, to Runyon Canyon Road, and his first name to Carman Crest Drive. The Runyons eventually sold their property in 1930 to the famous Irish singer, John McCormack, who lived here with his wife until they decided to return to Ireland eight years later. The remains of the intricate terraces, gardens, and buildings the McCormacks added can still be seen. 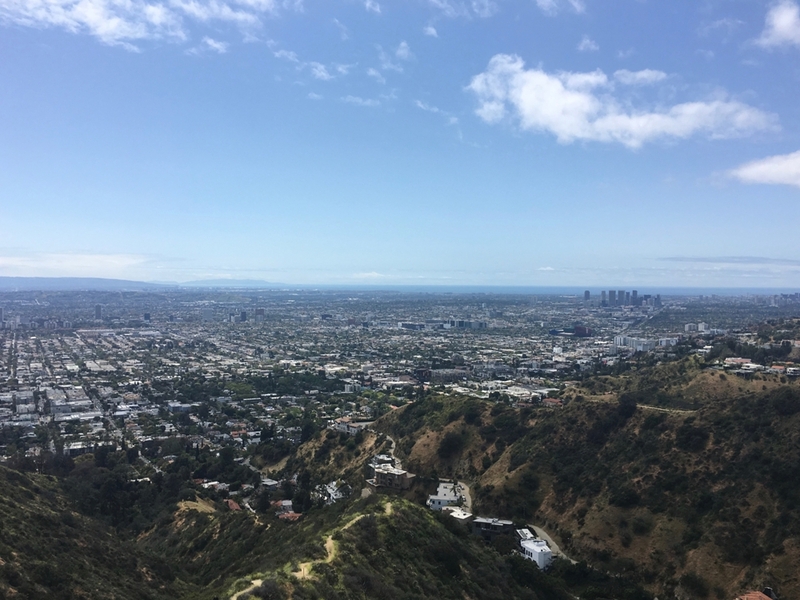 Runyon Canyon became a city park in 1984 when the then-current owners sold the property to the City of Los Angeles in a special partnership with the Santa Monica Mountain Conservancy.